In Frankfurt, Germany they’ve long made a herb sauce of at least seven different herbs and wild greens. The cool uncooked sauce accompanies hard boiled eggs and hot young potatoes. There are varied ingredients but the key seems to be seven greens or more, often consisting of borage, sorrel, parsley,dandelion, garden cress, chervil, and chives. Sometimes other freshly picked green herbs are used. Since my garden has several of these and I’ve wanted to try this dish I gave it a try. It’s simply too early for several of these but my available fresh herbs as you’ll see in the photo from left to right, were lovage, parsley, tarragon,plantain, dandelion, fennel and chives. I removed roots, rinsed and coarsely chopped before dropping into the food processor. Sour cream seems to be the standby so I added a low fat version, creme fraiche, and non fat Greek yogurt. Whizzed it in the processor, tasted and added a hand full of spinach, a few drops of lemon juice, salt & pepper and gave it another whirl. Not truly knowing what to expect I was quite pleased and plan to make this again with different herbs as the gardening season moves along. The thoughts I’m having now is how many cuisines have a green sauce and am looking forward to working through more of them. 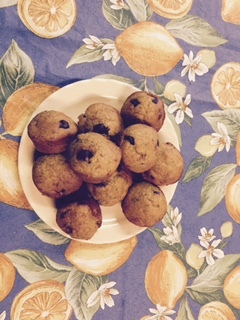 These muffins are for Nichols Plant Day, Saturday, May 16th, 2015. Katy’s Sweet, Sweet Meat type winter squash, upper left, has a smooth, rich flavor and is also one of the sweetest winter squash varieties. It stores well for the winter pantry. The squash run 7-12pounds, I split them open, remove seeds, turn flesh onto the pan and cook slowly at 325 fahrenheit. Pierce the rind and when it gently gives and you start to see some juice running the squash is cooked. There usually more than than can be eaten at one sitting so I often freeze extra in a one quart container and sometimes when a friend comes by I’ll ask if they would like a piece of cooked winter squash. Almost always, the reply is “Cooked?, Why yes.” Let me add this squash turns sweeter after picking. 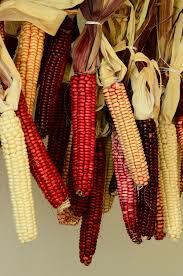 we harvest in October before frost and always enjoy it at Thanksgiving on through March. A local gardener who loves this squash has developed his own Katy’s Sweet Squash muffin recipe. He generously comes by with these at least once and sometimes twice a year. 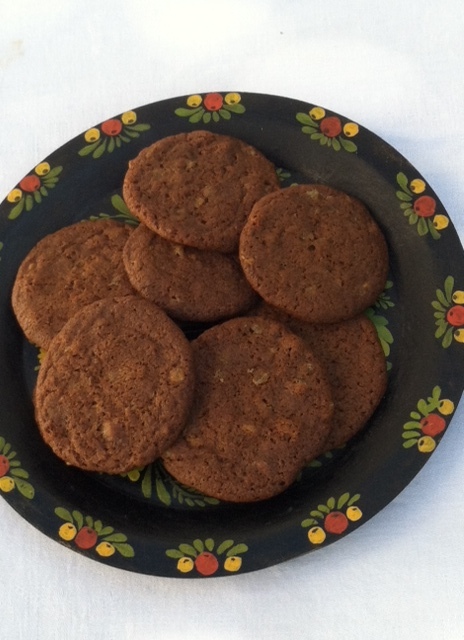 ½ cup milk chocolate chips…the milk chocolate melds better with the squash than standard semi-sweet. Chocolate chips are optional but very good. With a large spoon mix ingredients until lightly moistened. Stir in walnuts and chocolate chips. Fill muffin or cupcake pans 2/3 full. Bake for 15 – 18 minutes. If using mini muffin trays bake for 10 to 12 minutes. Fill muffin cups with paper liners or mist cups with a 50% oil/50% water emulsion from a small sprayer. Yield is 12 regular size muffins or 24 mini muffins. Katy Stokes began selecting this variety in 2,000. One plant produced superb squash, she carefully selected her seed for planting the following year and did this for eight years. Every year she only planted seed from squash with the quality she sought. And now she supplies us with planting stock each year from only the very best and has developed a fine variety that is an ideal size for most household. Katy Stokes began selecting this variety in 2,000. One plant produced superb squash, she carefully selected her seed for planting the following year and did this for eight years. Every year she only planted seed from squash with the quality she sought. And now she supplies us with planting stock each year from only the very best and has developed a fine variety that is an ideal size for most households. Friends with celiac disease or otherwise unable to eat any gluten products will enjoy a delicious cake now and then. For some keeping track of all ingredients is a paramount health concern. Carol Deppe, artisan corn breeder has introduced us to her versatile and flavorful Magic Manna flour corn. Wise in the ways of cooking for celiac disease she has developed the finest and most flavorful flour corn we’ve used baking. 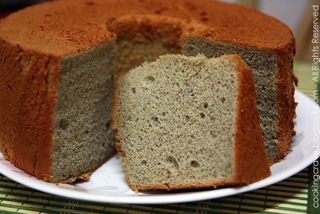 Chiffon cake made with Magic Manna Flour Corn flour is an authentic, no fussing cake with a simple substitution of this delectible corn flour for wheat flour. Baked in an angel food tin it produces a light cake with a delightful aroma and flavor from the Magic Manna corn flour. Bob’s Red Mill also offers Corn flour for baking. It is widely available and can be found throughout the west and through the mail. This Chiffon cake has a fine texture and holds together perfectly when sliced. It is particularly convenient that home grown Magic Manna has soft kernels and can be ground in a coffee grinder, blender or a home style flour mill. Carol Deppe the breeder of this artisan flour corn recommends the “Whisper Mill”. After grinding freeze any extra corn flour in a well sealed heavy duty plastic bag to preserve quality and retain the savory aromatics. The following recipe is an adaptation of the classic Williams-Sonoma Orange Chiffon Cake. Position a rack in the lower third of oven and preheat to 325 F.
Separate the eggs carefully as even a speck of yolk dropped in the whites will prevent them from fully expanding. Sift together the flour, sugar, baking powder and salt into bowl. Into a large bowl whisk to combine the oil, 6 egg yolks, orange zest, and water until well blended. Add flour mixture and set aside. In a bowl, using an electric mixer set on medium high speed, beat the 8 egg whites and the cream of tarter until soft peaks form. With a silicone or rubber spatula gently fold one-half the egg whites into the batter until almost blended. Second step, gently fold in the remaining egg whites with your spatula just until combined. Pour batter into an ungreased 10- inch tube or angel food cake pan. Using your spatula create a flat surface. Bake approximately 50 to 60 minutes. Test with a toothpick inserted in the center to see it has no batter clinging to it when removed. If toothpick is dry, remove from oven and invert the cake onto a wire rack and let cool for one hour. When cooled run a thin-bladed knife around all edges of the pan including the center tube ind invert onto a serving plate. Serve as is, sprinkled with powdered sugar. Cut into wedges and serve. Leftover cake freezes well when wrapped in foil or plastic and will slice while still frozen. Adapted from the Williams-Sonoma Food Made Fast Series, by Lou Seibert Pappas. First Day of Spring. Here it was beautiful and sunny though once again rain was predicted. 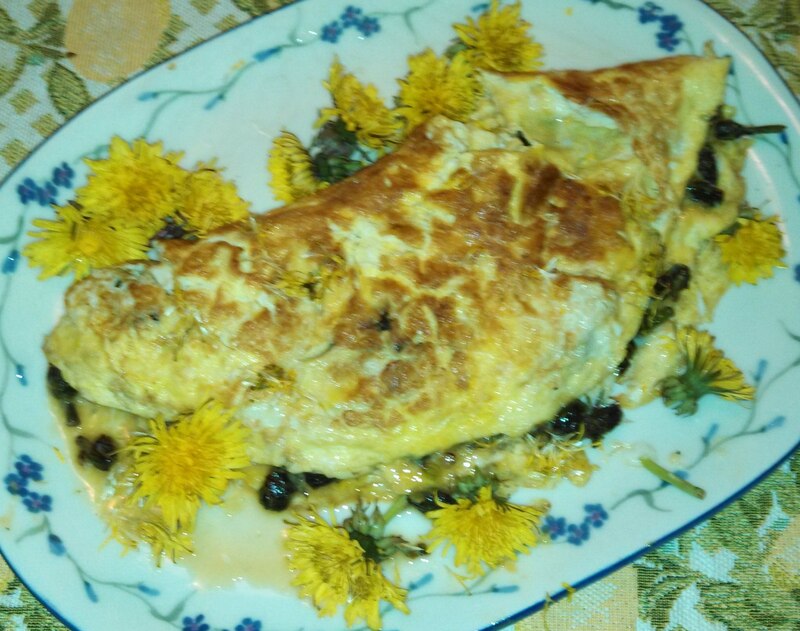 I was out pulling dandelions today and remembered how much we love a dandelion bud omelet. Here’s my recipe from Basic Herb cookery. They remind me of artichokes. Heat a 9-12” non-stick skillet on medium high. Saute rinsed and drained dandelion buds in butter until softened. Pour beaten eggs over buds and sprinkle choves over the eggs. Use a spatula to gently lift eggs in pan and let uncooked eggsrun under cooked portion. 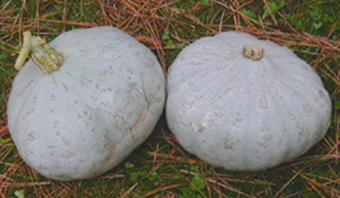 When bottom is golden and eggs have set on the outer edges, fold in half. Remove from heat and let firm up for about 30 seconds before serving.Two or three tablespoons Swiss or freshly shredded Parmesan cheese adds to the flavor. Today I used a full cup of young buds and 6 eggs for three people. Our daughter gave us truffle salt so sprinkled that on…delicious, and with a bit of parmesan quite a delicious dinner. Garnished with a few blossoms and substituted fresh green onions for chives. When pulling the dandelions I was struck by how many slugs were hanging around though I wasn’t seeing damaged buds, they obviously had been eating petals. Winter gardens are often brimming with kale sweetened from a few frosty days. There are many ways to serve this hyper nutritious vegetable. Young tender kale needs no special preparation other than removing stems thicker than a pencil. Over mature kale can be tough if the leaf veins are over developed. If so, remove the stem and most obvious veins, chop the kale and parboil six minutes. Strain, and braise in skillet following the recipe below. Parboiling is a traditional Mediterranean method and your kale will be more tender and milder in flavor. Take a large skillet fitted with a lid and place on medium high heat; Add oil, and chopped onion and sauté until translucent. Now add coarsely chopped or parboiled kale and garlic. Cook ten minutes or until tender. Toss in a handful of dried cranberries, a touch of hot sauce and salt and turn with spatula. When kale is cooked add slender vertical slices of two unpeeled tart apples, Cover, let sit ten minutes and it’s ready to serve. 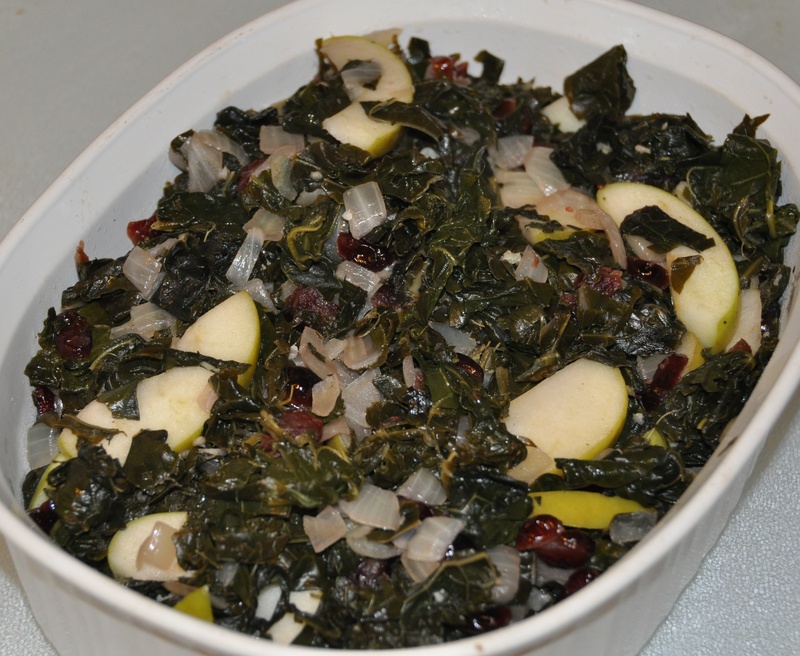 The objective is to have tender kale and semi cooked apples. Served @ Nichols 2013 Plant Day and a few tea and cookie Saturdays. My favorite cookie. Easy to make the dough can be frozen and pulled out as needed. Use unsalted butter for a crisp cookie. we offer the spices listed below and recommend the Bakers Cut Ginger, so easy to handle and the Vietnamese Cinnamon is rich in flavor. I tend to usually not cloves but they belong on this cookie. Grating a cold cube of butter is a quick solution when butter is cold from the refrigerator. Oven temperature 350 degrees Form into 1″ balls Bake 12 minutes Cover cookie sheet with parchment paper and leave cookies on sheet for three minutes before moving to a cooling rack. Makes two to three dozen cookies depending on size. With a 1″ ball I get 30 cookies. Sift first six ingredients and set aside. Place remaining ingredients in a mixing bowl, turn to medium low speed and when ingredients are well combined add flour mix one cup at a time and only mix until it develops a dough like consistency. Place dough in refrigerator for at least 30 minutes. Remove and follow instructions above. These cookies spread so don’t place closely together. *The ginger juice will be about 1/2 teaspoon and can be pressed through a very clean garlic press. If frozen and thawed before pressing it will be quite easy. 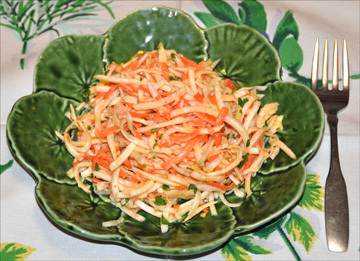 Celeriac Salad is one of our winter favorites. A little unusual, easy to prepare, and keeps for three to four days. Serve as a salad or add to sandwiches. February through mid-March is the time to start your celeriac transplants, they will seem slow to start but become quite robust. They’ll store through winter and an average root weighs up to a pound or more. Transplant to a sunny spot and you can keep in the ground unless a hard freeze is anticipated. These root cellar beautifully or store in damp sawdust. An unusual factoid is roots are probably the original jack-o-lanterns and were carved into fearsome faces. Peel the celeriac, cut into chunks and shred in a food processor. I always exert a little pressure for a thicker shred. Cut carrots into chunks and shred. Rinse cilantro and set aside. Mix garlic with following ingredients for dressing. Mix vegetables and dressing until well combined and then add cilantro. Adjust seasoning with salt and pepper and I hope you will enjoy.